While proper HVAC maintenance helps to preserve indoor air quality (IAQ), it is not the only factor. 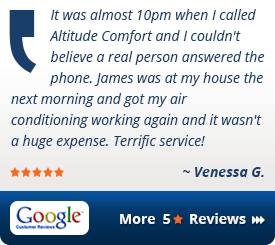 At Altitude Comfort Heating & Cooling, we specialize in keeping you comfortable, safe and healthy with a full line of IAQ services. According to the EPA, indoor air can be up to seven times more polluted than outdoor air. Since we spend a significant portion of our lives breathing the air inside our homes, it is important to consider the impact of IAQ—especially for those suffering from allergies, asthma and respiratory conditions. Partnering with industry-leading product brands, Altitude Comfort can help to assess and improve your home’s indoor air use. Air purifiers, which remove contaminants from the air and reduce the effect of secondhand smoke. We can even find the lowest monthly payment option available so you can dramatically improve the air quality inside your home without putting a dent in your savings. Our financing partners have programs to fit every situation. 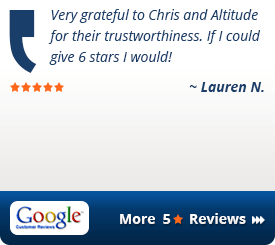 To learn more about financing, click here. Depending upon your home’s needs, indoor air quality measures may include contaminant and particle removal, improved ventilation, reduced VOC levels, humidity adjustments, and more. 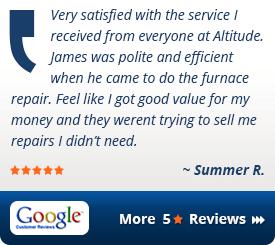 Call us at 303-505-3406 to discuss how we can improve the air quality inside your home. 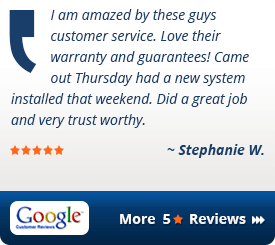 Or, you can schedule online now by clicking here. Ask our Experts - You can always ask one of our experts if you have questions about your home’s indoor air quality. Feel free to contact us at any time.